The Lifetime Achievement Award is being awarded posthumously to Charles ‘Chip’ Welling, who passed away on April 28, 2017. Chip began his career as a research fellow and scientist with the University of Minnesota in the 1990s, and then spent 24 years working on invasive species management at the Minnesota DNR. Chip was considered one of Minnesota’s top experts on invasive aquatic plant management and worked tirelessly his whole career to promote research-based management. Chip was also an excellent communicator, and spent decades assisting lake associations and local communities with understanding their lakes and helping them prevent the spread of invasive plants and animals across the state of Minnesota. John and Mary Peterson are amazing examples of how private land owners can go above and beyond as stewards of their land and voices for invasive species outreach and management. Since 2008, they have recorded their more than 3,100 hours of invasive species management activities in an epic spreadsheet that reached 105 pages when submitted with their nomination. They have actively shared their knowledge and expertise and hosted Extension field days on their property. As their nomination stated, “If we are to succeed in maintaining healthy, vibrant forests in Minnesota, it will be through the diligent and sustained effort of people like John and Mary, both in taking care of their own property and in sharing and inspiring others to follow their lead.” Thank you! The Southeast Minnesota Rapid Responders have brought together multiple agencies, private landowners, and organizations in southeastern Minnesota to map and manage early detection invasive plants in their region. Since 2014, they have surveyed over 4,000 acres for invasive species and managed over 1,000 acres. From coordinating multiple canoes of people to survey rivers for Japanese hops, to tackling teasels on roadsides, to testing out new technology like the EDDMapS app and ISMTrack, these partners are doing key early detection and response work. 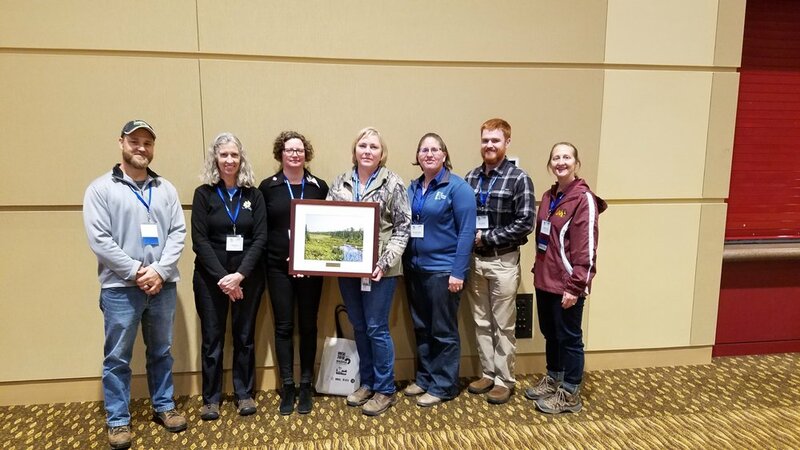 Thank you to the current lead, Barb Perry of the Minnesota Department of Natural Resources, and the many team members who have taken part in this effort. Presented at the Awards Luncheon Plenary Session at the Upper Midwest Invasive Species Conference (UMISC) held in La Crosse, WI. 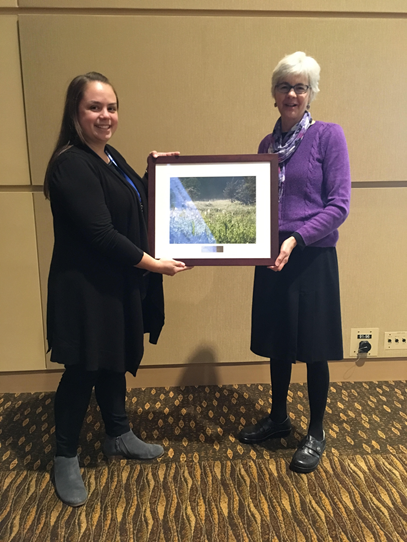 Presented at the Awards Luncheon Plenary Session at the Upper Midwest Invasive Species Conference (UMISC) held in Duluth, MN. Presented at the Awards Ceremony at the Minnesota Department of Transportation (Mn/DOT) Environmental Stewardship Workshop, St. Paul, MN. Presented at the Awards Luncheon Plenary Session at the Minnesota Wisconsin Invasive Species Conference (MNWIISC) held at the Crown Plaza Hotel, in St. Paul, MN. Presented at the 2008 Minnesota Invasive Species Conference Awards Luncheon, Duluth, MN.